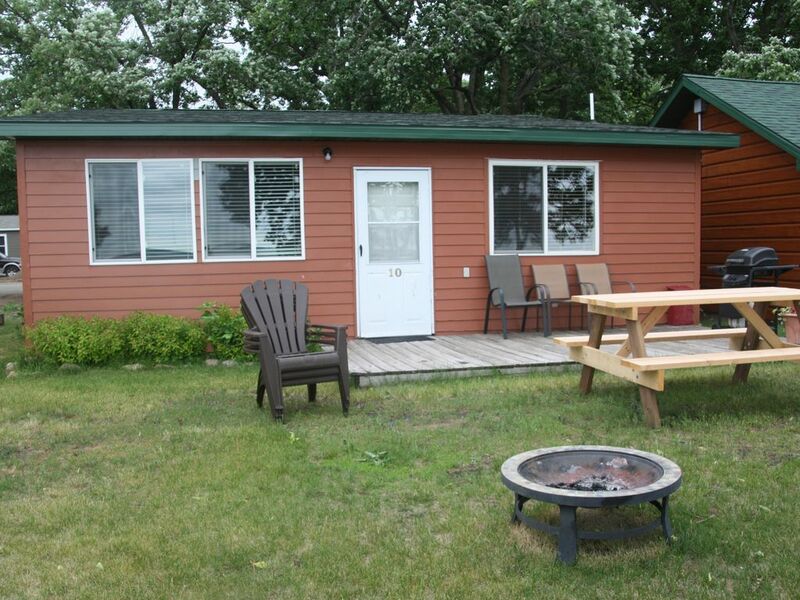 Spacious 3-Bedroom cabin on Otter Tail Lake. Great Fishing & Water Recreation. We were in 3 bedroom cabin looking out on lake. It was clean & everything was in working order. We loved having our own deck and fire pit. Paul & Deb were helpful and friendly. We were there the end of the summer so it was quiet but that was one of the things we liked best. Kids fished off dock & had fun digging in the sand. We would definitely go back. Paul was a great host. Ottertail area is a perfect vacation spot and The Lodge is on top of our list to come back and visit next year. Thanks for the kind words. It was nice to see your group enjoy the lake. You did Otter Tail lake the way it is supposed to be. Play hard during the day and enjoy the beautiful view around a camp fire at night. We are looking forward to making some big improvements in this cabin before next Summer, so come back and enjoy them too. The property owners/managers were awesome/friendly in wanting to make our stay a joy. Thank you all. Our cabin wasn't quite what we had expected, we had expected more comfortable furniture. The flooring had a rise between carpet and tile that proved to be a challenge. The AC was enough to cool the kitchen, but certainly not the bedrooms. The kitchen utencils and cookware were incomplete (however, I did not bring this to the attention of the staff, but simply did without--my fault). The boat lifts were a problem from the beginning as my husband had to get into the water to put the boat on the lift and also to take it off.....very poor condition for the price paid. Laundry facilities, wood for the fire pit, kitchen linens were not included in the rent. !/2 of a trial size bottle of dish soap did not last for more than a week of our two week stay. Ice cream was $3.50 per cone-----too much for little kids. The WiFi was totally NON dependable. The beach was awesome, the toys available and the playground made for happy children. I am happy we had the opportunity to see what resort life on Ottertail Lake was like and now I have a comparison point. Thank you. Thank you for your review. We enjoyed having your family stay with us the first 2 weeks of July. I would like to address a few of your concerns. We try our best to make every guest’s stay enjoyable. Example: when you had an issue with your screen door your first night. You brought it to our attention, we had the issue resolved within ½ hour. However, many issues mentioned here weren't brought to our attention until you were checking out or until this review. Example, this is the first time we heard you didn’t have adequate Dish Soap or kitchen utensils, both of which would have been easy to resolve.) We would encourage you in the future to bring these types of issues to our attention so we can address them while they really matter, during your stay! Incidental Charges: We do have an on your honor laundry, firewood is only $4 for a large bundle and our ice cream prices are probably one of the best deals in the area, just ask our many neighbors that come once or twice a week. $3.50 is the price for a Double Waffle Cone, which we usually discourage kids from ordering since it is too much ice cream for them. A small cake cone or dish is only $2 and this is the post-tax price so the retail price is $1.86. Pretty good price for the 12 flavors our small resort is offering this week. WiFi: We installed a new wifi service directly out of our lodge office which has dramatically increased the speed and reliability of our wifi for guests. Sorry, this new improved wifi was installed 2 days after you checked out. Cabin Condition: Thanks for your thoughts on the Air Conditioning and floor of the cabin. We are planning on a remodel of this cabin this fall and have plans to upgrade the air conditioning, floor, patio door and put in a new Fireplace.